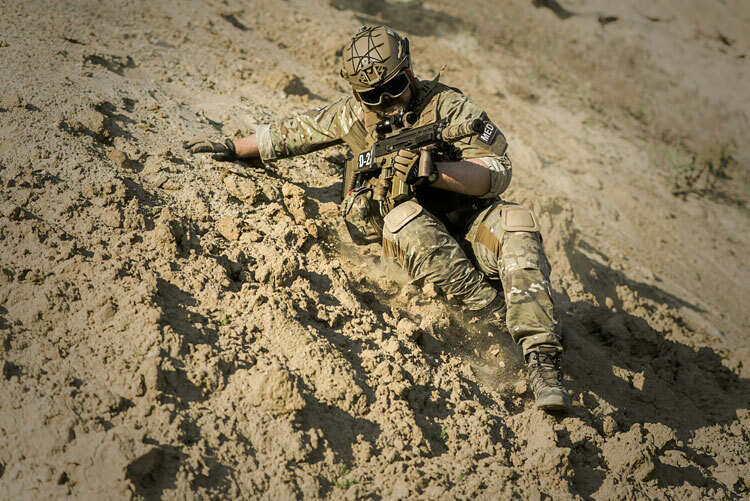 Tactical boots are a special kind of footwear, designed for military and law enforcement personnel, but they can also be used when playing sports such as airsoft. Below we share our top picks for the best tactical boots. The good news is that there are lots of options out there, and most of them are quite affordable. Their goal is to provide comfort and optimize your performance in any scenario. However, it’s important to know the conditions in which you’ll find yourself, so you know the type of tactical boots you need. For instance, if you play indoor sports such as airsoft, you need a lightweight boot, with lots of ventilation, and a rubber sole that increases your grip and speed. On the other hand, if you’re likely to find yourself outdoors most of the time, you’ll need protection against humidity, low/high temperatures, and other factors. 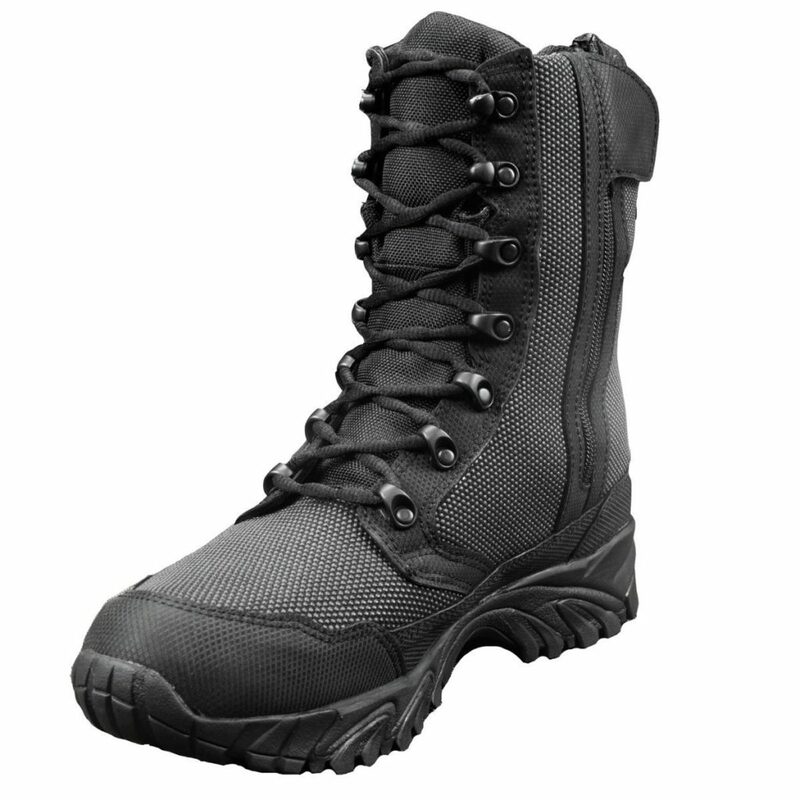 ALTAI 8" ATAC 5.11 ALTAI 6"
Tactical boots should allow for a proper airflow to move through the boot, wicking the heat and humidity away and maintaining a dry environment inside. As a result, you’ll be cool and comfortable‚ even after hours of running through mud or the woods. They may look big and bulky (sometimes) but they shouldn’t pull you down. The boot needs to be light, so you can move at ease, regardless of your pace. The outer sole should be durable and should protect your feet from humidity and rough terrains. It should also be flexible and adapt to the terrain in order to provide maximum speed and grip. Finally, the outer soles need to be quiet, so you can approach an objective without making any noise. The upper is in charge with covering your foot and maintaining good breathability, so it has to fit comfortably around the toes and heel. 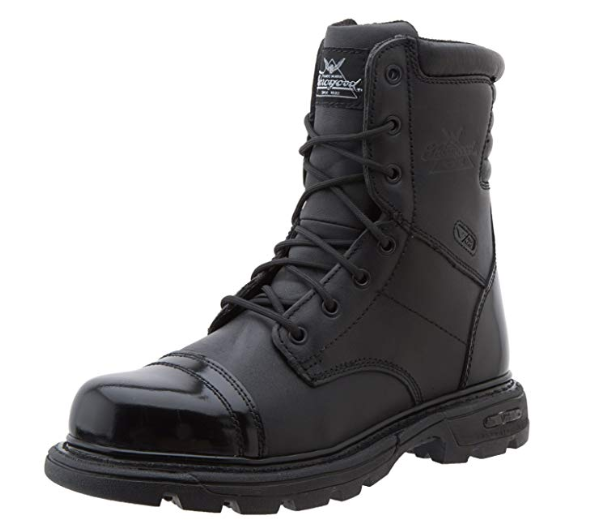 Also, tactical boots are equipped with toe and heel caps, to add extra protection to these areas. 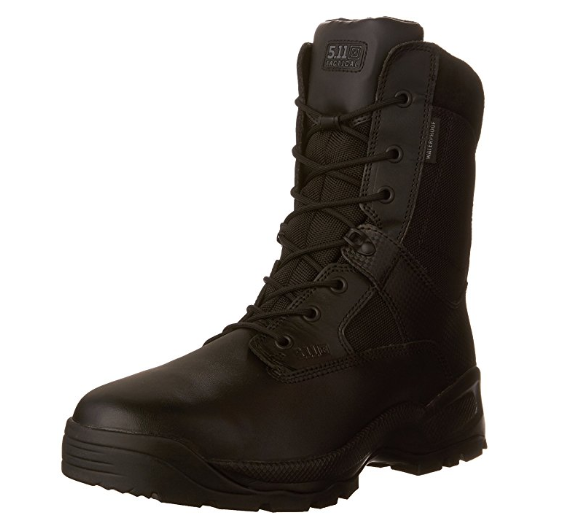 A high-quality tactical boot should be there for you in the toughest times. To do that, they need high-end stitching, a tongue that protects your skin from the laces, laces that don’t break apart, and zippers that don’t get stuck. Quick note: Most tactical boots require a breaking in period, so it’s normal to not feel perfectly comfortable the first time you put them on. There are several methods to apply, but it usually takes a few days of wearing them so the boot can adapt to your feet’s shape. ALTAI boots are specially designed to help you overcome all weather conditions, regardless of how bad it gets. This model stops at ankle level, but the Vibram outer sole and the solid footbed provide all the support one needs. Furthermore, the outer sole is designed with anti-clogging lugs, so mud won’t stick to your boots and double their weight. The upper is made of SuperFabric, which is stain and water resistant. Designed to offer the ideal ankle support, these boots from ALTAI are perfect for an outdoor game in extreme weather conditions. The upper is protected by SuperFabric (a specially designed material) that keeps water and stains away. Also, the Vibram outer sole is fitted with lugs that improve your grip and optimize your speed performance. The boots don’t need a long break in period and you can put them on or get them off using either the heavy-duty side zippers or the laces. The main purpose of these boots is to make you as light-footed as possible. The upper is made of ultra-fast drying synthetic material, the top side is made of nylon for durability and increased breathability, and the sole is rubber for a better grip. The open-cell polyurethane footbed will put a spring in your step because it absorbs any shocks and keeps fatigue away for as long as possible. Overall, the Danner Tachyon boots are perfect for those long hours spent crouching in the field, trying to find a weak spot in your enemy’s defense! This is a pair of boots that are both comfortable and protects your feet during a game outdoors. On the outside, you’ll find leather and the side panels are designed with 1200-denier Cordura nylon for increased breathability. The synthetic sole may look and feel a bit rigid at first, but it will take after your foot shape after wearing them for a bit. The boots are waterproof, so if you’re usually playing on uneven terrain, in the outdoors, they will be great! Finally, I like the moisture wicking, anti-bacterial Dri-Lex lining that reduces any odors and keeps your skin healthy and safe. 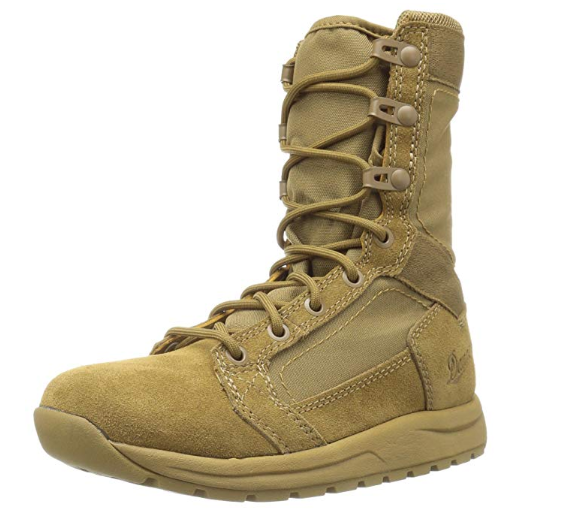 These boots were built to optimize the agility and performance of military, law enforcement, and special tactical teams. 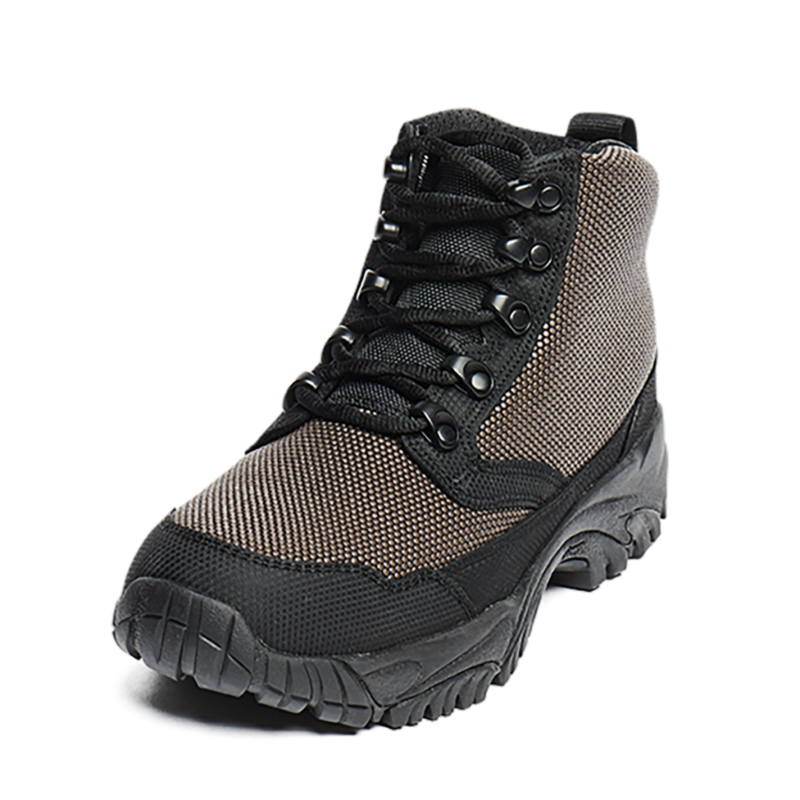 These tactical boots are durable, lightweight, and protect your feet in any situation. The full-grain leather will keep water away, while the reinforced toe cap and heel protect you from injuries. Also, the footbed is made of single-density polyurethane and can be removed and replaced to fit your needs. The Thorogood Jump Boots are equipped with a rubber outsole, with multi-directional traction lugs, which allow you to move as smoothly as possible regardless of the weather. The boots are designed to remove any stress factors from your feet, so you won’t feel fatigue like you do in regular boots. Also, the heel is designed to absorb any shock, due to the Impact 300 gel insert. Finally, the boots have two methods to out on/off: with shoelaces and with a heavy-duty YKK zipper (placed on the inner side). This way, you can choose which way works best for you. In airsoft, the face and chest areas get the most protection, which is why there is an entire market for full face airsoft masks and eyewear seconded by special vests created for airsofters. But, if you truly want to embrace the game and get the authentic experience, you should add a pair of tactical boots to your gear!